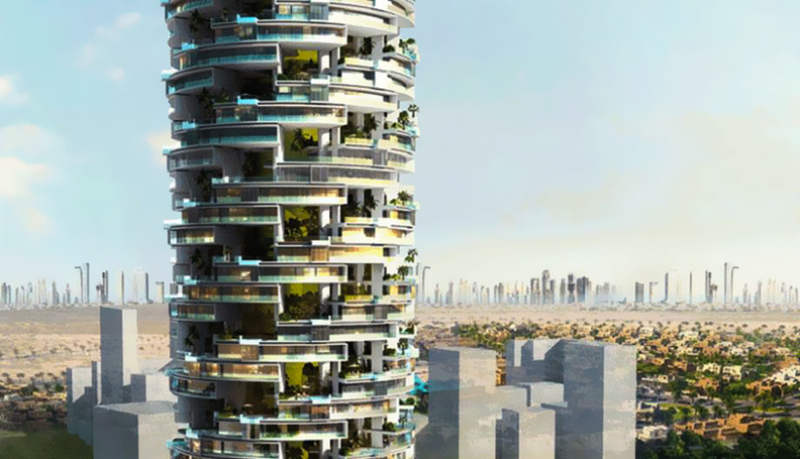 High performance Gyproc partition and lining systems have been chosen to meet demanding acoustic standards in what is arguably Dubai’s most innovative residential tower project to date. Soaring 888 feet above the Jumeirah enclave, the new Viceroy Jumeirah Village brings together over five hundred 5-Star hotel rooms and serviced apartments in a unique 60-storey circular tower that not only boasts a choice of fine dining restaurants and state-of-the-art facilities, including 271 sky high private terrace swimming pools and individual landscaped gardens, but has been designed such that each storey rotates through 30 degrees to provide a unique vista over the Dubai skyline. The exceptional engineering, design and 5-star luxury of this groundbreaking tower demanded that every element of the structure meet the highest possible standards in every area of performance, with particular emphasis on acoustics, which is crucial to create an internal environment commensurate with the outstanding modern interiors. Working closely with Consultant, Atkins and Partners Overseas and Main Contractor China State Construction Engineering, Gyproc’s acoustics experts were able to develop a complete internal lining solution, based on the company’s lightweight metal-frame partition, walling and ceiling systems, that fully met the client’s requirements in every area. Different configurations of versatile GypWall CLASSIC partitions and GypWall Quiet, a special twin frame acoustic separating wall, will provide effective acoustic separation between adjacent hotel rooms and apartments, while Gyproc DriLyner BASIC and MF Ceilings will provide a high quality lining to structural concrete walls and soffits. Throughout the building, Aquaroc Fibre Cement Board is also being used to provide a robust backing for heavyweight marble and tile facings. Gyproc training and technical specialists are providing on and off-site support throughout the project to ensure that the systems can be installed quickly and efficiently to meet the project’s very tight 20-month build programme. The decision to use high performance lightweight systems in place of more traditional masonry-based techniques, means that material logistics on the very tight site will be much easier, particularly on the upper levels where access is limited, and will deliver valuable weight and time savings for the complex project.